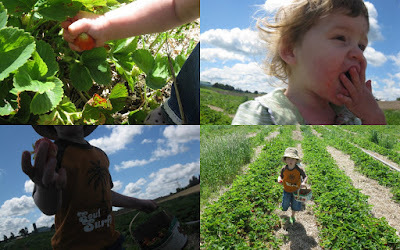 Today we went strawberry picking for the first time this season. William enjoyed counting the berries as he diligently picked them, while no one had time to count Rosie's as she stuffed as many as she could pluck into her mouth. Together we enjoyed the first sunny day in quite a while.